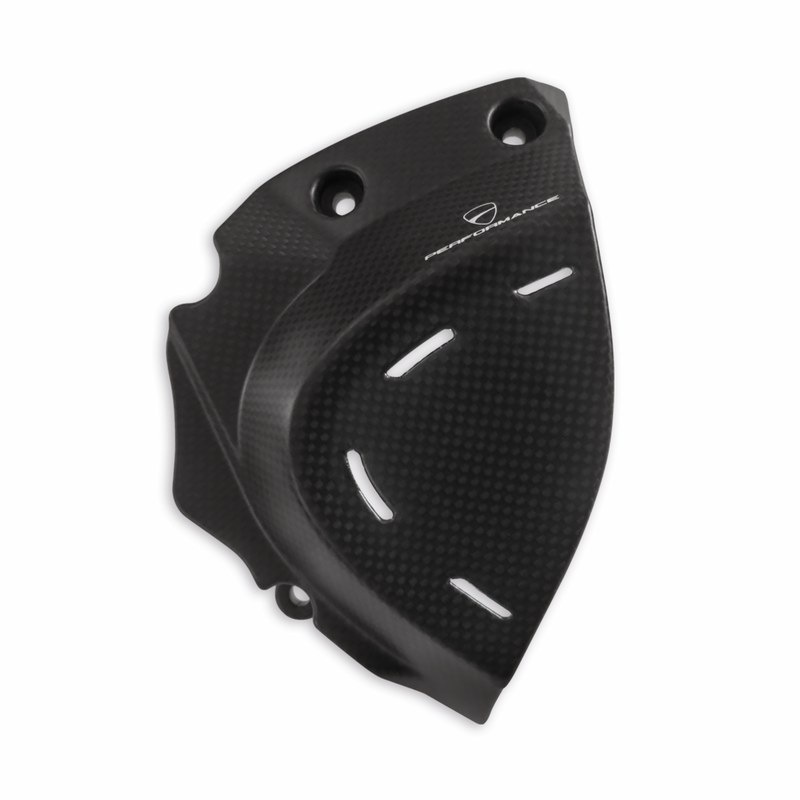 Carbon fiber front sprocket cover. Light and meticulously finished. An important detail that protects your SuperSport and gives it a great look.